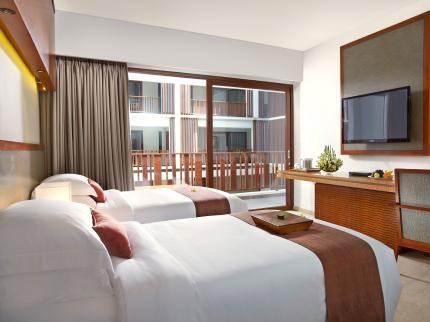 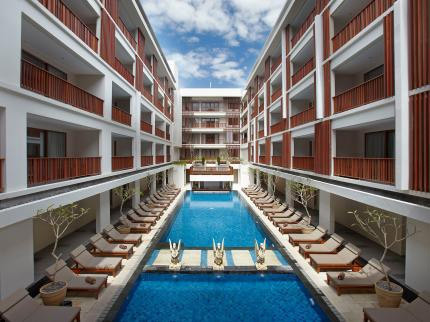 The Magani Hotel & Spa is a 4 stars city boutique resort Situated in legian bali, boasts 108 rooms including 67 Deluxe Rooms, 7 Deluxe Suites, 20 Premier Pool Rooms with private plunge pool and 14 Magani Suites with outdoor Jacuzzi. 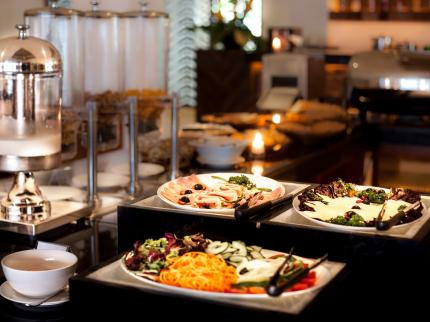 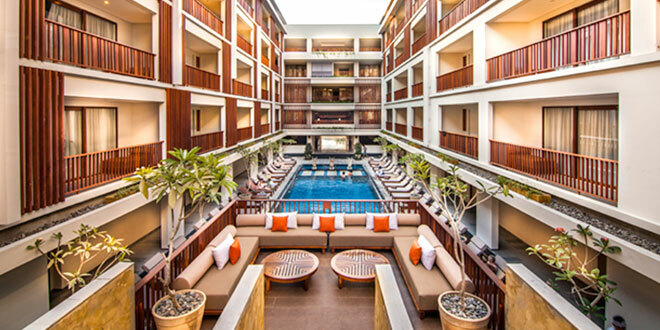 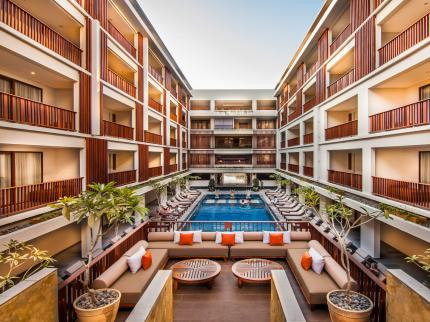 The Maganai Hotel Legian is only 25 minutes drive from Bali’s International airport and just a walking distance to famous Kuta and Legian beaches for witnessing dazzling sunset and to the lifestyle shops and the international bars and restaurants. 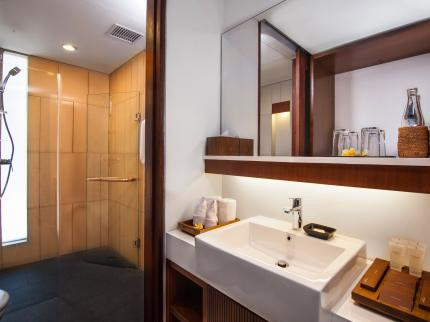 Deluxe Room (45 m2) : The 67 lead-in rooms In five-storey building are designed to provide an easy motion for a splash of personality. 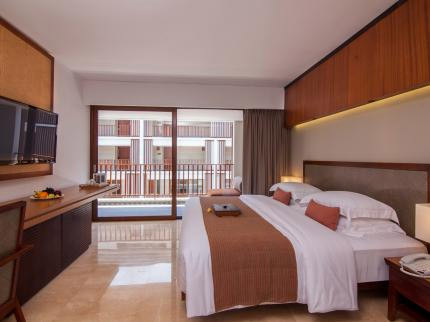 Deluxe Suite (60 m2) : These 7 spacious rooms with living ea located on the fourth floor of the building are designed to provide more relaxing retreat to unwind. 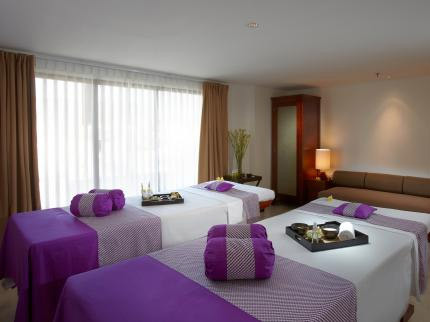 Premier Pool Room (60 m2) : A honeymooner room preference with wealthier space. 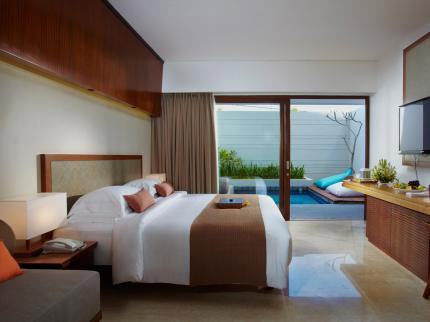 From a king size bed, fluffy and comfortable sofas to rejuvenating plunge pool all enable you to redefine your own comfort levels. 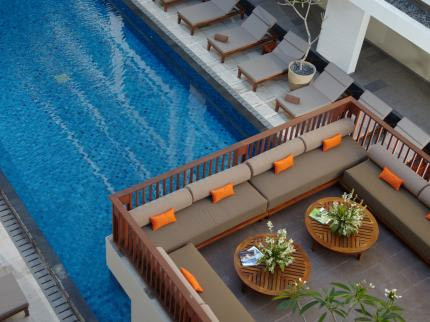 20 rooms on the ground floor building with private balcony adjacent to the private plunge pool (6 x 3 M). 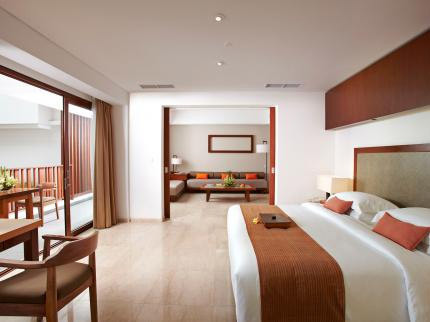 Convenient Business Centre, conference rooms for up to 200 persons.